Years ago I playfully created the Pyramid of Racist Black Commentary for. It was used mostly in jest to help those understand how offensive their racist comments were. Based on public backlash and response to past incidents and I was able to gauge how detrimental and far their actions could go. It’s been years and in hindsight, I could include more items on The Pyramid and may actually update it. For now, it can still provide some quick insight into how wrong you can be. Also, in case you were wondering , every rung of The pyramid is offensive. Lastly, I’ve also included some resources below for your team to hopefully address these and avoid issues. Now to The Pyramid breakdown. 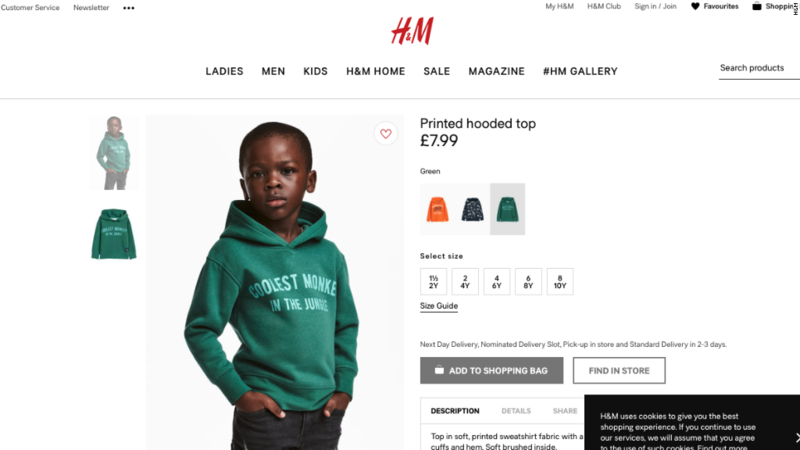 Apology: H&M, based in Sweden, apologized Monday morning for what many said was an insensitive association between the young model and a hateful slur against black people. Backlash: yup! Twitter was on it. They exposed the site and this image. Black people have been historically compared to monkeys. It’s been a common act from old racist ads and movies to European soccer matches getting stopped because racist fans are throwing bananas at black players. Just last year we saw a reporter compare Venus Williams to a gorilla. It’s never funny nor appropriate. Do I think H&M was intentionally being racist? No. They had another sweater in the selection describing a perceived white child as a jungle expert. I notice they’ve got a jungle theme going but that still doesn’t make it ok. It’s a tone-deaf decision. They dropped the culturally competent ball. This is a case of a team that has no insight or comprehension of historical context. Your team has to be diverse actual personnel or at a minimum in mind to avoid such a mistake. To make sure you aren’t dropping the ball too check out some of these resources for your staff and students. 1. Here’s a great site to help you see how you’re doing. It’s a great start for an audit of your space. 3.Georgia Tech University has an opportunity for their campus community to obtain a multicultural competence certificate. 4.SMU is doing some great work with some great signature programs based on culturally competent dialogue. 6. Check out our previous article on Cultural Competency Model inspired by jokes from Chris Rock.